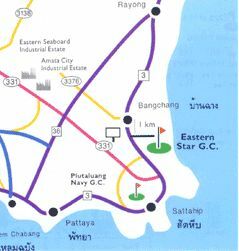 The links-style course at Eastern Star, located near the Gulf of Thailand, is one of only five courses in Thailand designed by Robert Trent Jones Jr. The Pattaya golf course is set on 530 acres of land and meanders through lovely residential areas of Eastern Star Country Club & Resort. 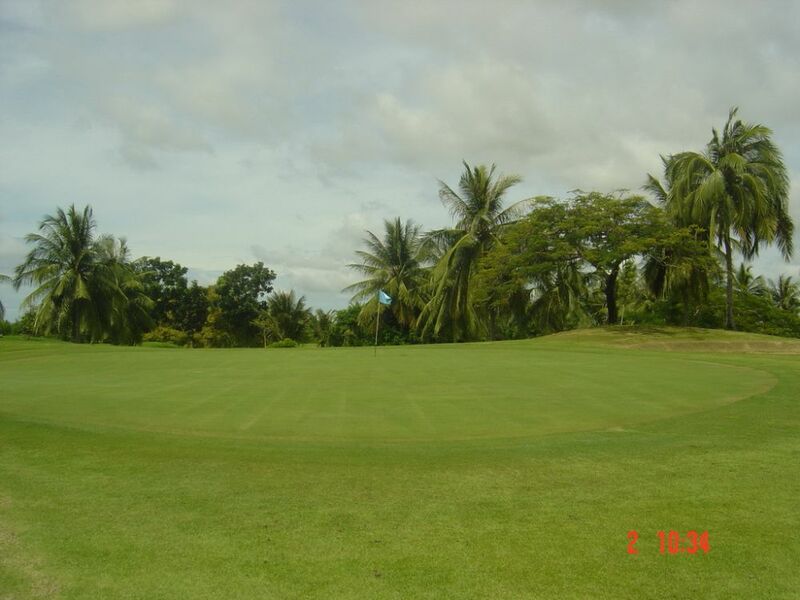 The course’s wide fairways and hundreds of palm trees make it a popular local favorite. 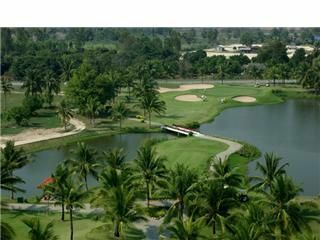 The gently undulating fairways and greens feature 65 bunkers, 11 lakes, and more than 2,200 coconut palms. 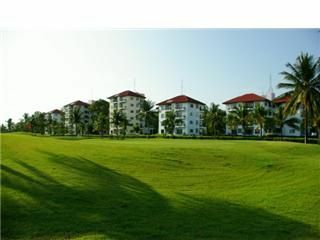 The golf resort is conveniently situated just 2 kilometers from the sea ensuring a constant cooling breeze. 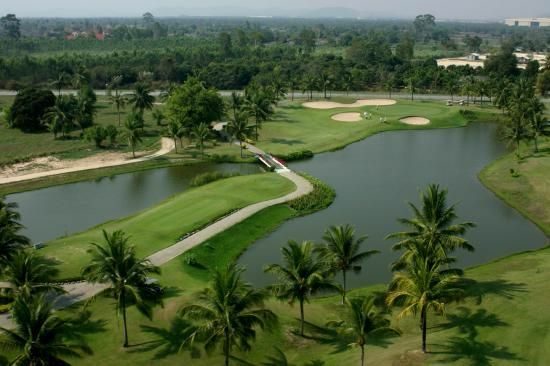 Like a real links course, it is only slightly above sea level in altitude. 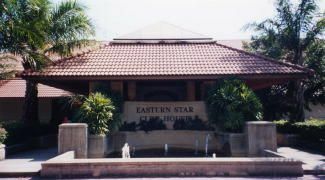 Eastern Star has been the venue for local and regional golf tournaments. 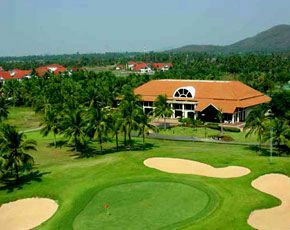 It offers plenty of challenge for the experienced golfer, but also provides enjoyment for beginners. 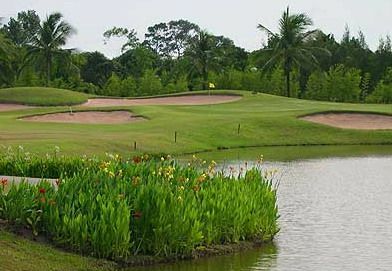 This Pattaya golf course is a &apos;thinking man&apos;s course&apos; and with a little strategy and well-positioned shots can be played well. 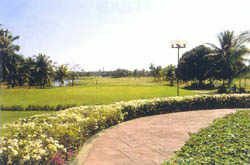 Tall mature coconut trees and some mango trees define the holes, enhanced by areas rich in flowers. 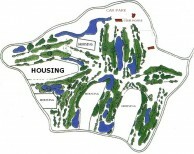 There are numerous doglegs and a lot of water along the 18 fairways of Eastern Star. 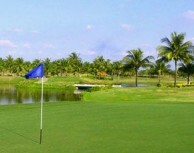 The golf course can play quite long, mainly from the championship blue tees. 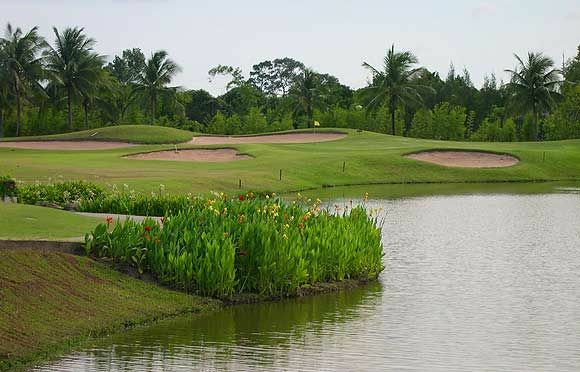 The signature hole is the picturesque par-3 thirteenth, which lulls players into admiring the scenery. 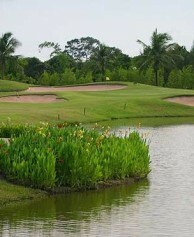 An accurate tee shot over water is required to stay out of the deep bunker or the lake on the right of the green. 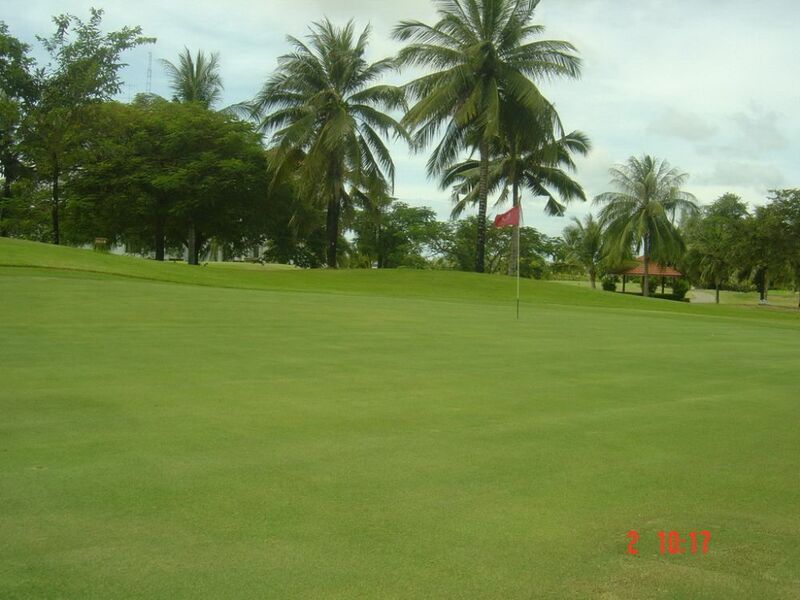 The preferred play is to the center of the green or slightly left. 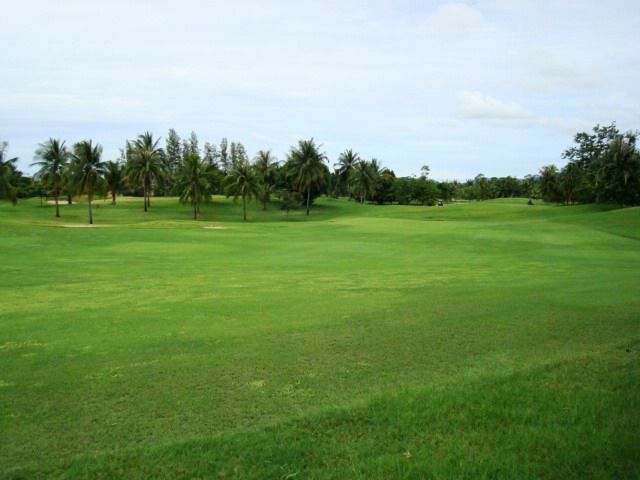 Too far, however, is sand and thick rough. 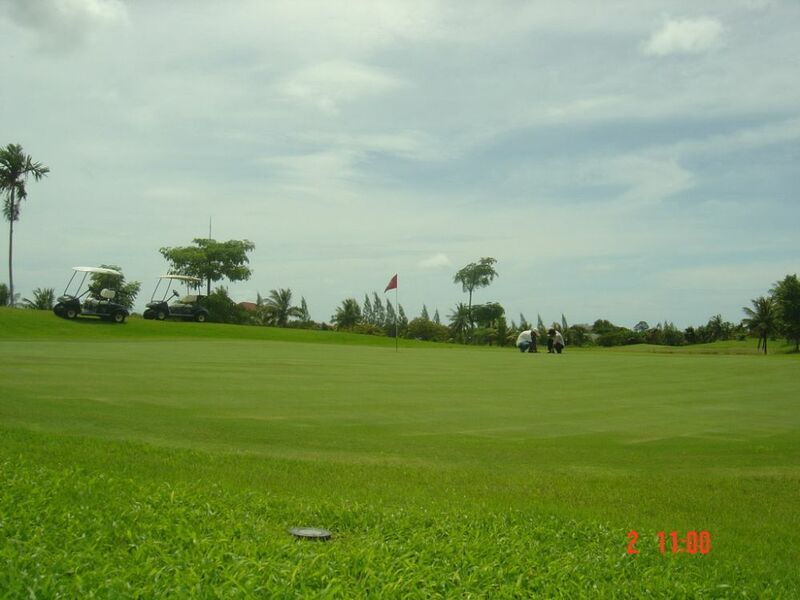 Over the green gives entails negotiating a tricky downhill putt. 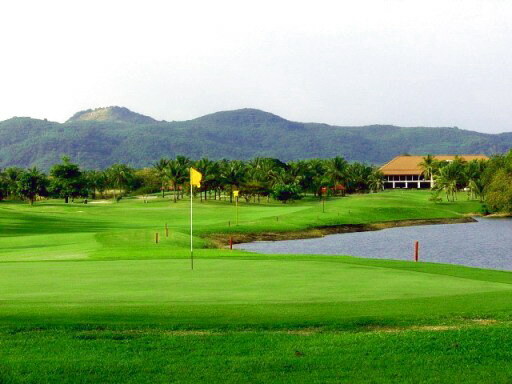 If the hole appeared intimidating from the tee, look back from the green for an entirely different perspective. 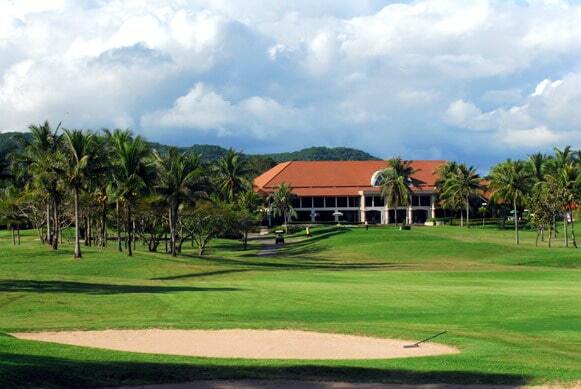 With open fairways, this is surely a course to suit beginner and experienced golfers alike. 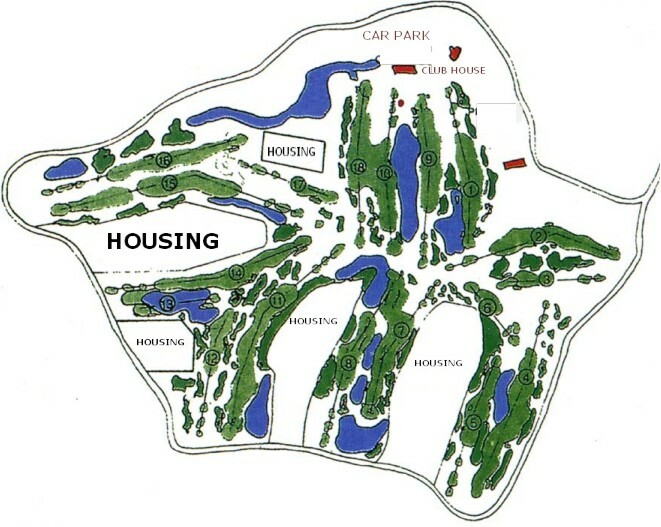 Practice areas, driving range, and a basic clubhouse provide adequate facilities. 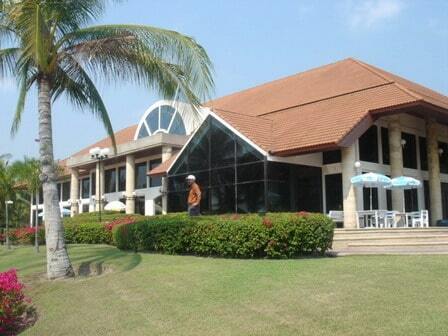 The restaurant, like most Thai golf courses, services a wide range of dishes at reasonable prices. 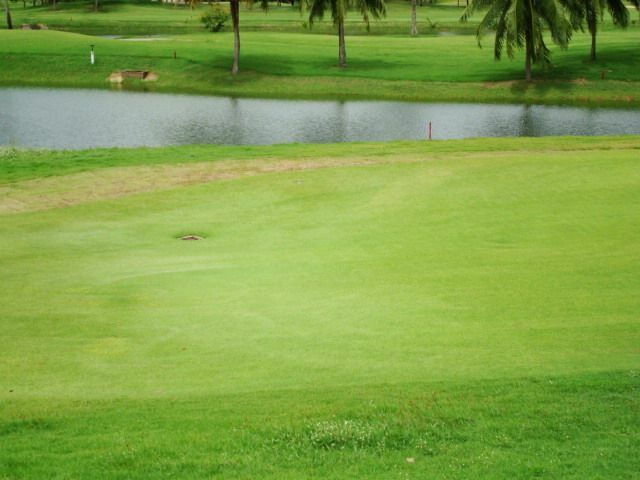 Try a fruit smoothie for a great after the round beverage. 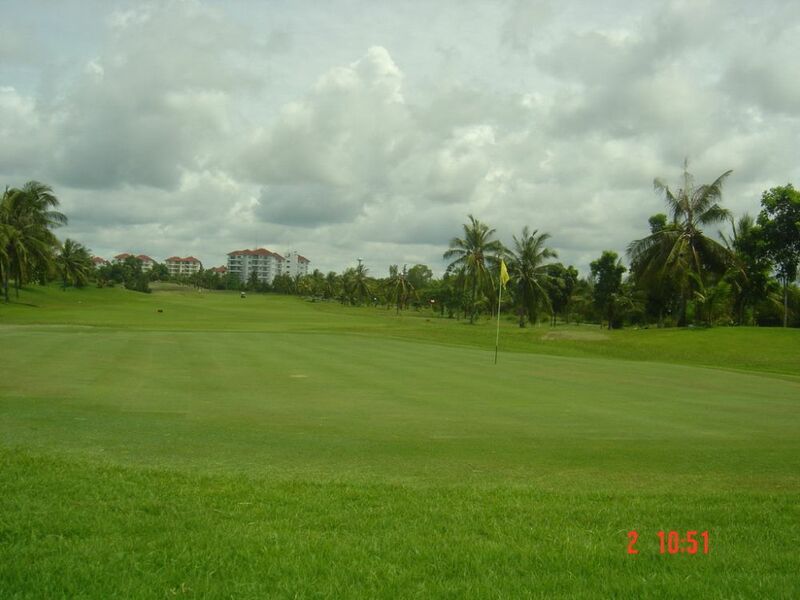 Have you played golf at the Eastern Star Country Club & Resort and took some nice photos that you would like to share with other golfers? Send them to us and we may upload them here. Thank you in advance! 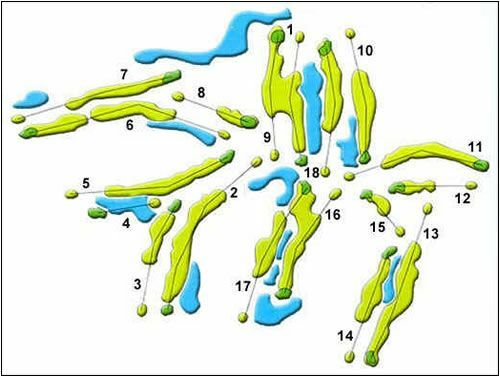 they have raised the maintainance fees from 12000 to 18000 but the greens are as bad as they can get the 2nd 13th 18th have been bad for 10 years why have 100% rise in fees 100% worse conditions , please employ better green keepers. Rather awkward this one. Their club went toruhgh a similar break-up to ours. The Chairman we knew was replaced by a guy called Ron Blackwell at their AGM in Oct 2010. The Vice-Chair is Keith Nicholl whom we met on our last trip. 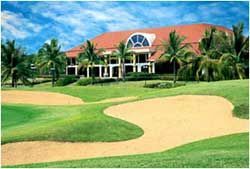 They have a new committee, are Spanish registered, have mostly the same membership and seem to carry on a busy schedule of events much as before. They send me a copy of most of their newsletters, so must want to remain in contact.Actually, we are still linked on their site but all their links are a bit obscure see this URL: then look in the menu on the right of their site under the Club Partner Links heading. It shows our new website so is obviously uptodatePerhaps our committee should discuss whether or not we should renew contact?